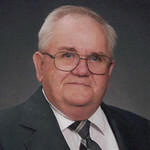 Raymond Langham, 81, of Marion, Iowa, passed away Sunday, March 24, 2019, at the Dennis and Donna Oldorf Hospice House of Mercy, Hiawatha, Iowa. Bernard “Ben” E. Jones, 83, of Cedar Rapids, died Saturday, March 23, 2019, at a St. Luke’s Hospital. Robert Dise, associate professor of history at the University of Northern Iowa, will teach the final Keep on Learning Community education series of 2018-19, beginning Thursday, April 4, at Wartburg College. The child care services you provide are important to both families and the community. Even if your home was not damaged by flooding, your private well may need attention. For the seventh consecutive year, Loras College and its vast community of students, faculty, staff, alumni and friends, came together to celebrate Duhawk Day Wednesday, March 13. City of Dyersville is currently accepting applications for positions at the Dyersville Family Aquatic Center for the 2019 pool season. 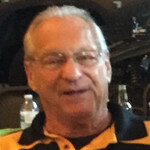 Roland Harold Isaacson, 83, of Cedar Rapids, Iowa, passed away Tuesday, March 19, 2019, at Hiawatha Care Center, Hiawatha, Iowa. Robert Williams, 62, of Cedar Rapids, Iowa, died Saturday, March 16, 2019, at his home. 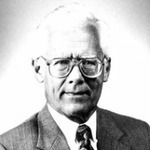 Thomas “Tom” Brown, of Williamsburg, Iowa, formerly of Ladora, Iowa, died Saturday, March 16, 2019, under hospice care at St. Luke’s Hospital, Cedar Rapids, Iowa. Loras College, a Catholic liberal arts college, will hosts is third annual Sport Business Symposium from 9 a.m.
Wartburg College’s Opera Workshop and Players Theatre will offer Dale Wasserman’s “Man of La Mancha” on March 21 and 22 The musical, directed by Brian Pfaltzgraff, associate professor of music, will begin at 7:30 p.m.
CHILD CARE RESOURCE & REFERAL: Practice Prevention is March 17-23, 2019. The I-29 Moo University collaborative will host a webinar titled “Renovating Dairy Barns: Giving Them a Second Career” for dairy owners considering alternatives for their dairy facilities after selling their cows. John Gordon Vernon, of Arvada, Colorado, and formerly of Marion, Iowa, passed away on March 8, 2019, in Wheat Ridge, Colorado, following an extended illness and while surrounded by his family. Dwayne Chester Ellwood, 90, of Marion, Iowa, passed away Friday, March 8, 2019, at Winslow House Care Center, Marion.